There are so many cool places to grab breakfast in Virginia Beach. There are lots of little cafes and pancake houses along Atlantic Avenue right through the center of town. 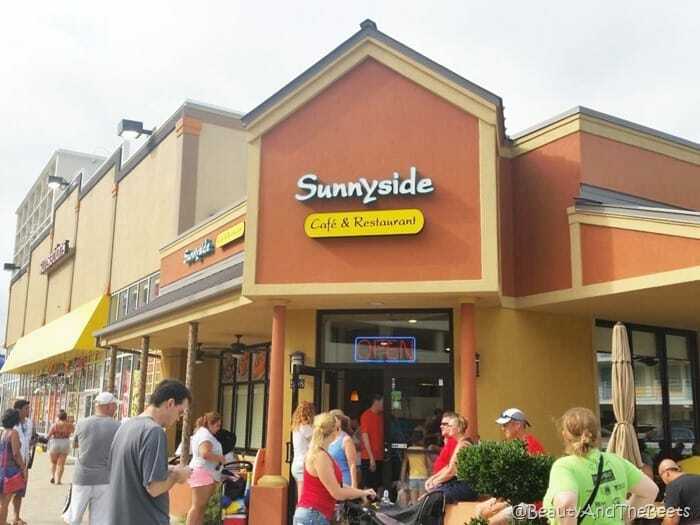 We chose to go to the Sunnyside Cafe based on the line out the door, figuring this must be a popular spot. We were actually seated quickly which was great because we were hungry. 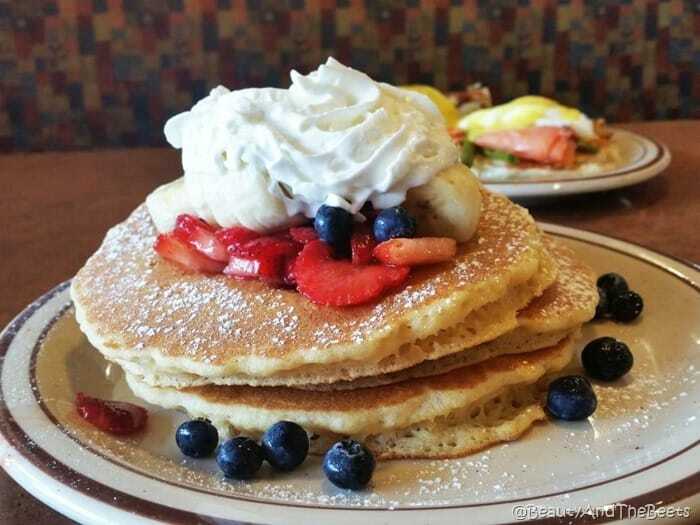 Mr. Beet went for his usual pancakes – but this time with fresh blueberries and strawberries. And whipped cream. That’s the only way to eat your pancakes. 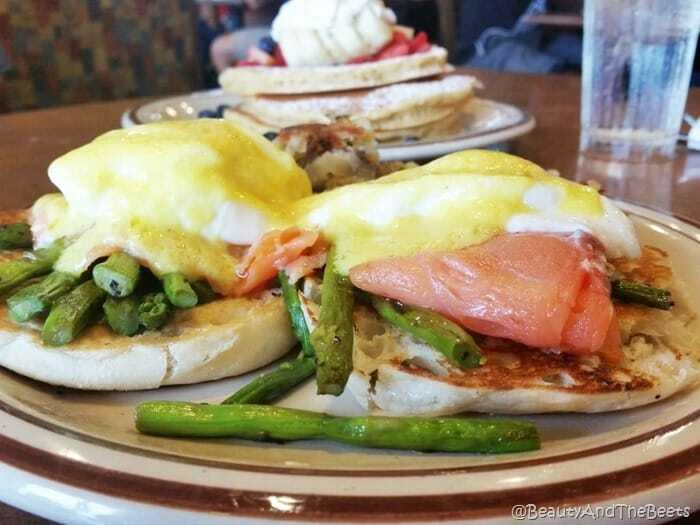 I ordered the Norwegian Benedict with smoked salmon and asparagus topped with Hollandaise sauce. There are other benedicts as well including Crab Cakes Benedict and a benedict with feta cheese and spinach. Other items on the breakfast menu include waffles and omelets. Sunnyside Cafe is also open for lunch and offers burgers, sandwiches, and salads. 4 out of 5 sprouts.